Date unknown. 53 High Street, showing section used as the Post Office. Date Unknown. 53 High Street, and what was No 55 to the right. 2014. 53 High Street and what was No 55. 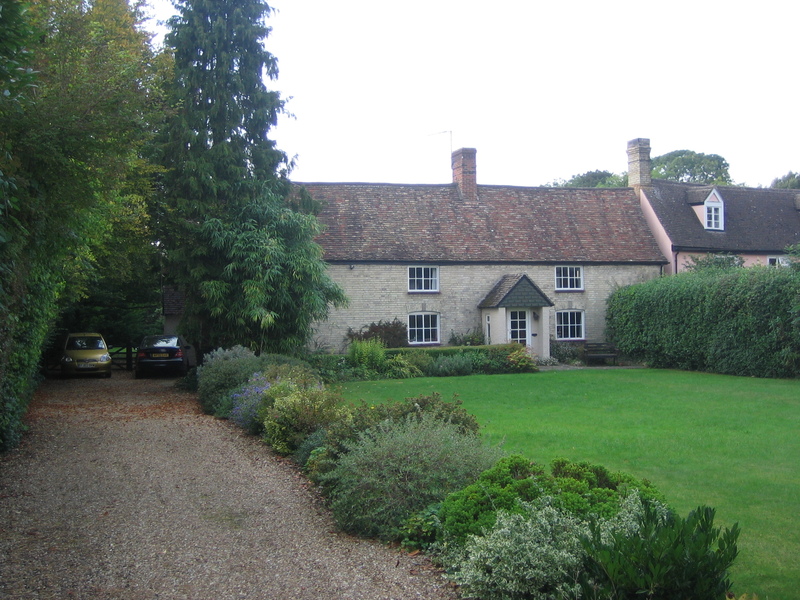 A 16th century house, this was converted into two cottages in the 18th century. 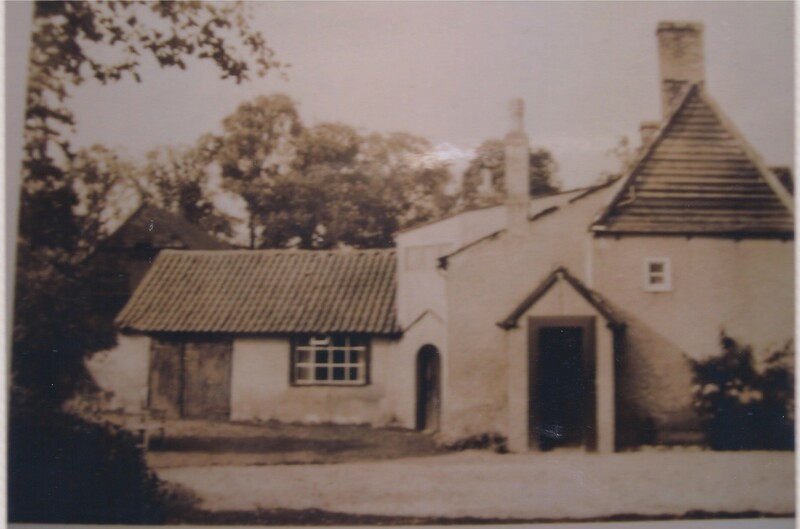 In 1845 Mr Peachy was using the cottages as bakehouses; at this time they were owned by Mrs Wallman who lived next door in at No 57 Lincoln House. 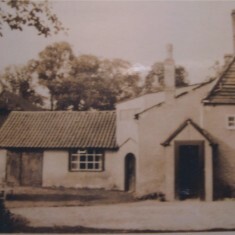 Mr Peachy moved his bakery in 1850 to Oddfellows House at No 49 High Street. 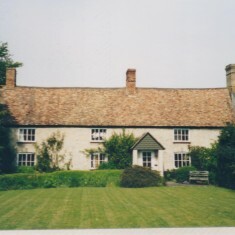 The cottages were restored to the original form in 1860. In 1960 Mr Goode had the Post Office in the south end of No 53. No 53 incorporated No 55 by 1977. The building’s front wall has been “faced” with Burwell White bricks. 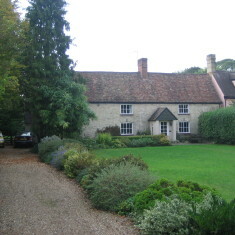 Cottage, c.1550 with C17 and C19 additions and alterations. 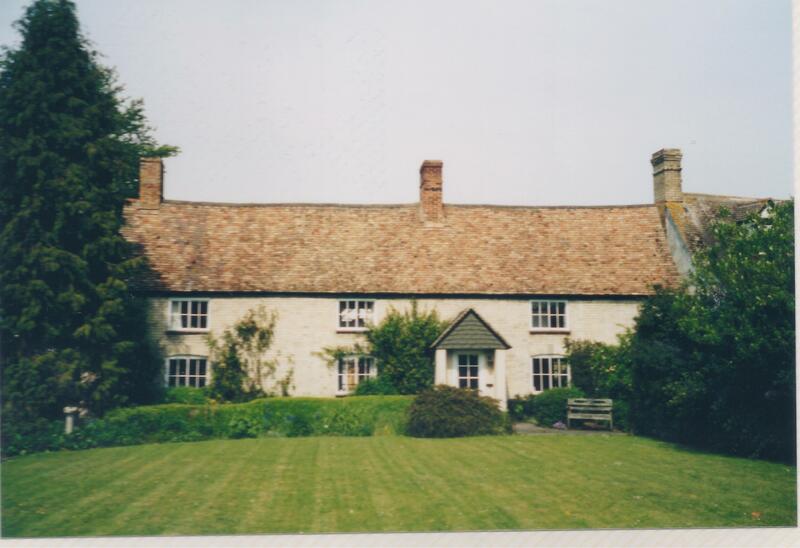 Timber framed, rendered with gault brick casing and steeply pitched, tiled roof with a ridge stack. Plan of three bays and lobby entry. Two storeys. Three recessed windows to each storey. Interior: Timber framing exposed. Close set studding and curved downward bracing. The partition wall between service end and hall has been retained and shows an original doorway lintel. There is another doorway lintel in the front wall which probably originally led to a cross passage. This suggests that the original entry to the cottage was to a cross passage at the low end of the hall and the lobby entry is a later insertion.